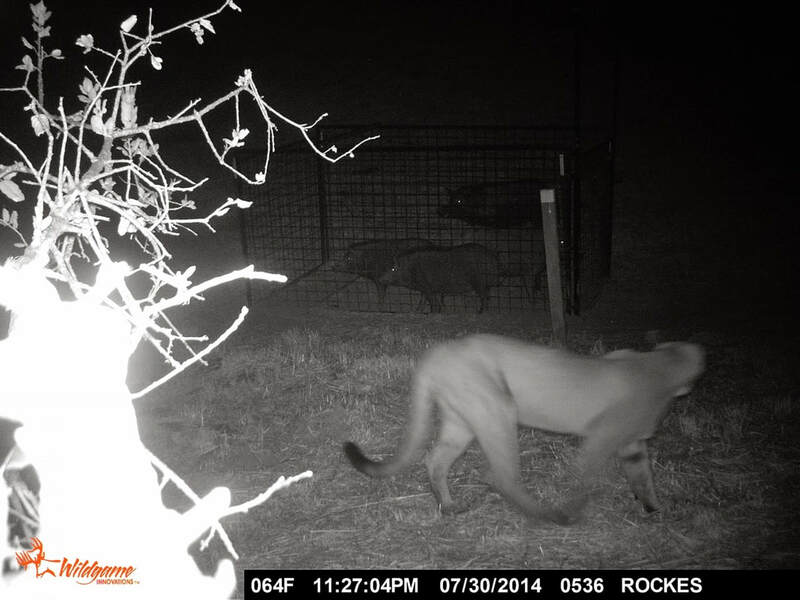 The owner started hunting wild pigs and coyotes in 1985 and professionally since 2012. Wild Pig Removal Inc. is the only company within Santa Clara County specializing in the trapping of wild pigs. After high school the owner attended several colleges such as; Lake Superior State University, Macomb Community College, George Mason University, Evergreen Community College and numerous trade training courses and academies. After more then 20 years of Civil Service the owner retired in 2010. Wild Pig Removal started as a hobby in 2009, we helped golf courses and friends eliminate problem pigs from their properties. In 2012 the company incorporated and applied for patents on archery products. The owner has been issued 2 patents by the U.S. Patent Office for archery products and has diversified the company into his original roots as a FFL gunsmith and professional trapper. The owner has many years of experience working with California Department of Fish and Wildlife staff, local authorities within Santa Clara County. Prior clients include; private property, golf courses, industrial property, commercial property and home owner associations. I have consulted with agricultural managers and school district's on the removal of nuisance animals. The owner has over 30 years experience hunting with firearms and archery equipment. That being said as a company we wish to provide the best service possible. 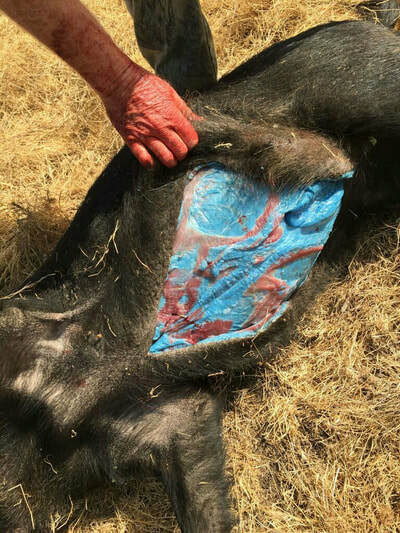 As a company our primary goal is SAFETY, sometimes that includes passing on a property damaging animal because it could cause a unsafe situation if we were to attempt to dispatch the wild pig. Safety is the highest priority when euthanizing an animal and the respect for the animal is a priority to accomplish the task by any legal means as effectively as possible. The Home owner/Property owner, State, County or City of jurisdiction determines the method of take. The WPR Inc. has the ability to load ammunition that offers the greatest accuracy for the tool being used. As for the correct tool used, the method of take is determined by each unique case by case basis and which method is legal for that jurisdiction. All Federal, State, and local laws will be complied with. The blue pig pictures were taken in Morgan Hill, CA. 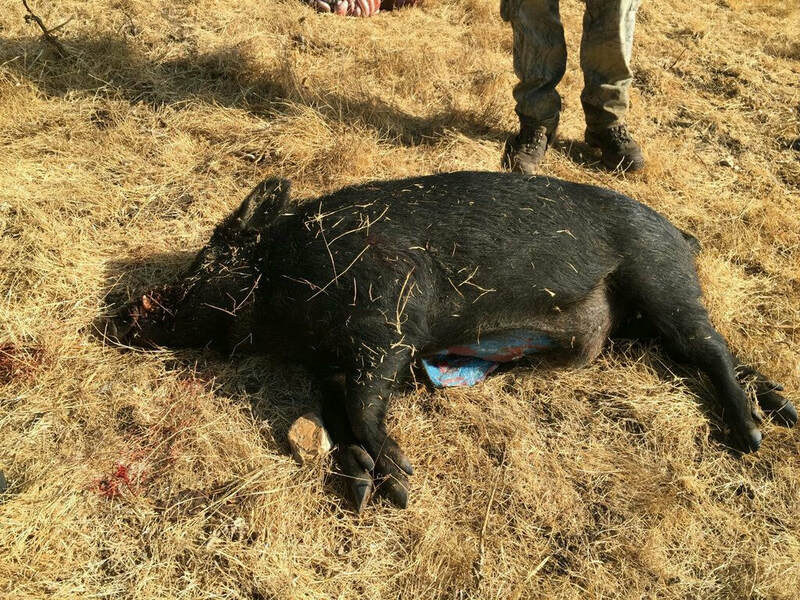 This pig ate a poison designed to kill another nuisance animal. The mountain lion picture was taken in Los Gatos, CA. There were 3 adult wild pigs captured in the trap. There was a large boar outside the trap on the opposite side as the Mountain Lion. The boar and the Mt. Lion continued to circle the trap for over 1.5 hours. This occurred in a neighborhood with homes and families, the neighborhood association hired us to remove the pigs.